The study is meant to be a significant contribution to the senior living industry, to mark the 20th anniversary of the Institute on Aging, Mather LifeWays President and CEO Mary Leary told Senior Housing News. Evanston, Illinois-based Mather LifeWays operates two life plan communities — The Mather, in Evanston, and Splendido, in Tucson, Arizona — and has a third under development near Washington, D.C. The Institute on Aging was created in 1999, to conduct research that could help improve programs and housing for older adults. The Age Well Study is a “landmark,” being the first study of its kind, Leary said. Its goal is to evaluate the wellbeing of life plan community residents and compare their wellness scores to a demographically similar group of older adults in the general population. It is designed to track the same residents over a period of five years. Results from the first year of the study are good news for life plan communities. In five out of six facets of wellness, life plan community residents outscored seniors living in the community at large. The research is also timely, in that more senior living communities of all stripes are shifting toward wellness-driven models. The new study provides evidence that this shift could make senior living communities increasingly attractive options for older adults. In 2018, more than 5,100 independent living residents from 80 life plan communities completed surveys for the study. Their responses were compared against information about 1,000 older adults living in the community at large, drawn from a publicly available data set from the government-sponsored Health and Retirement Study (HRS). Life plan community residents displayed greater emotional, social, physical, intellectual and vocational wellness than the HRS group. In only one domain of wellness — spiritual wellness — did the community-at-large group outscore the life plan community resident group. The results were encouraging but not surprising, said Cate O’Brien, associate vice president and director at the Institute on Aging. “The environment of life plan communities is conducive to wellness,” O’Brien told SHN. For example, in life plan communities, residents usually have plentiful opportunities to socialize, easy access to fitness facilities and classes, available cultural activities and volunteer programs, and a living environment designed to minimize obstacles and maximize independence. The study is not intended to reveal explanations for why these patterns exist, but the researchers did offer some theories. For example, the data collection took place between January and May 2018, when the weather was better in the South and West compared to the Midwest and Northeast. This may have affected respondents’ moods. In addition, communities in the South and West tend to have more residents, on average. Residents of larger communities generally reported higher levels of life satisfaction than residents of smaller communities, perhaps because larger communities have more resources to put toward programming and amenities. Then there is the issue of spiritual wellbeing, where the life plan community residents reported lower levels of wellbeing than the community-at-large group. One potential explanation is that, compared to the community at large, the life plan community group included more people who identified as “none/no preference” when asked about their religious affiliation. Only 6% of the population at large selected that answer, compared with 14% of life plan community residents. There also were relatively few religiously-affiliated life plan communities participating in the Age Well study, compared to the number of religiously-affiliated life plan communities in operation nationally, O’Brien said. In future iterations of the survey, the researchers plan to ask additional questions about spirituality that are broader in scope, she said. There are some caveats to the findings, the researchers noted. For example, there might be existing differences between life plan community residents and older adults in the community at large, which affect their wellness outcomes. Overall, though, life plan communities should take pride in these early results of the study, Leary emphasized. “We were extremely pleased with the first-year findings,” she said. New participants are welcome to join the study in its current, second year, and O’Brien and Leary anticipate that the pool will grow to about 130 life plan communities. After this year, no new communities will be added; participating life plan community residents will be invited to continue submitting responses for the five-year study period, including as they move from independent living to higher levels of care. A concern with whole-person wellness has always been baked into the life plan community operating model to some extent, but operators have also become more focused on wellness in recent years, Leary said. In fact, senior living providers of all sorts — not just life plan communities — are focusing their operations around resident wellness for several reasons. Consumers are increasingly interested in maximizing their wellbeing, and at the same time, the U.S. health care system is starting to reward organizations that can keep large populations of people healthier and out of high-cost settings such as hospitals. The Age Well study should help in the effort to integrate more wellness offerings into senior living. For instance, participating life plan communities receive a comparison of their residents’ responses against the overall pool of life plan community residents, and the community-at-large. This information can help a provider focus energy and resources in needed areas. “We’ve had a wellness program for some time, but we’ve been looking for ways to measure progress of residents and this gave us a good starting point,” Pat Duarte, CEO of Kahala Nui, told SHN. Located in Honolulu, Kahala Nui is a nonprofit life plan community with a total of 393 units, 270 of which are independent living. The survey data will help Kahala Nui’s efforts to formalize its existing wellness offerings and bring in additional wellness assets, perhaps in areas such as diet and spirituality, Duarte said. Moorings Park is also pleased with how it stacks up. The Naples, Florida life plan community outscored life plan community averages on 20 of the 28 individual measures of wellness, CEO Dan Lavender told SHN. This achievement reflects recent efforts to build up wellness offerings. Mather LifeWays is no exception to this trend. The company is renovating the wellness center at its Splendido location, with innovative plans in the works. The Tucson community is located near land where Native Americans once lived and is drawing on that history to create a “shaman center.” Here, a wellness “guide” would help support residents in meeting personal wellness goals, through programs such as mindfulness coaching, reiki, salt therapy, meditation and more. While participating life plan communities can use their individual results to inform their wellness initiatives, all life plan communities could use the study findings in sales and marketing efforts. The results provide a powerful tool to show prospective residents how they might benefit from joining a life plan community, Leary believes. “Communities now have fact-based benefits to show prospective residents rather than hearsay, and I think that’s going to really resonate,” she said. 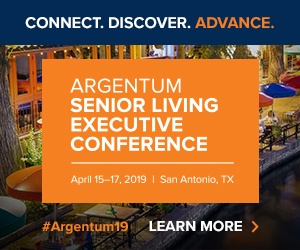 Interested in learning more about the rise of wellness in senior living? Click here to access Senior Housing News’ deep-dive report on the topic.